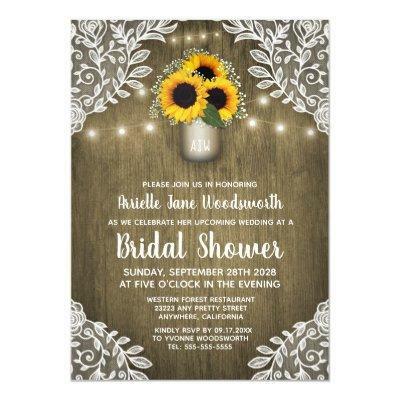 Mason Jar Sunflower Bridal Shower Invitations - feature a unique barn wood background with elegant lace and twinkle string lights. This design also features a mason jar full of sunflowers and baby&#;s breath. The mason jar is decorated with initials that you can change to those of your choice.